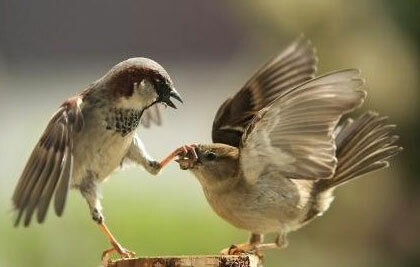 "Shut up we are birding!" 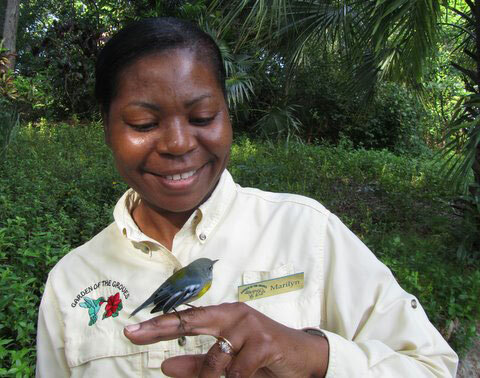 Freeport, Bahamas - This year's theme for International Migratory Bird Day is "Go Wild, Go Birding" and exciting events are ongoing at by Garden of the Groves throughout the month. 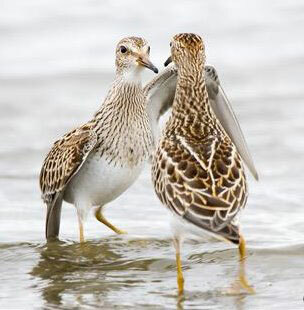 The Grand Bahama Birding Group will meet at 8 am this coming Saturday at the Reef Golf Course to welcome some of the new fall arrivals, among them many of the Sandpiper species that forage on inland waters whereby the 11 ponds at this particular golf course offer an ideal habitat. "Don't worry, my friend, we are safe on Grand Bahama - they don't shoot us here!" The student's art competition under the theme "Go Wild, Go Birding" will climax with the official opening of the exhibition of all the youngsters' works in the chapel at Garden of the Groves this Saturday at 3 pm. At that time a panel of judges will select the three best paintings and distribute cash prizes to the winners. 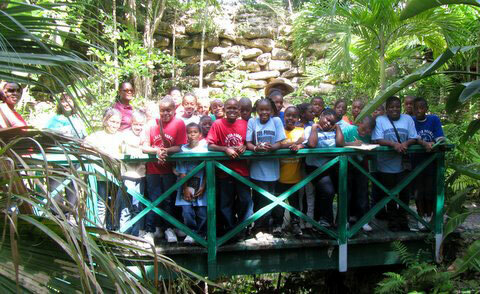 Many school groups have taken advantage through the Garden of the Groves' IMBD program to learn about the amazing migratory journeys that birds undertake to get from their nesting grounds up north to their wintering places in the Bahamas, Caribbean and South America. Mrs. Erika Gates at Garden of the Groves commented that she is delighted to see that so many youngsters are taking a keen interest in birds and their habitats. She feels that this early fascination with our feathered friends combined with education will contribute to an interest in conservation at a later stage in the childrens' lives.